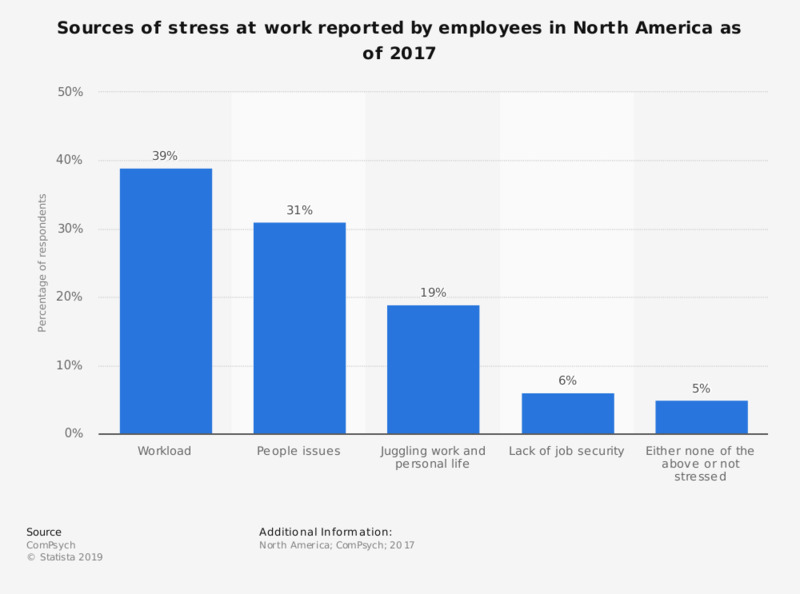 This statistic displays the reasons for stress at work among employees in North America in 2017. Of those surveyed, 31 percent of respondents reported that people issues at work was a source of stress. High levels of stress sustained for a long period can lead to impacts on both physical and mental health, which can also lead to impacts on the immune system. Work is a one of the most commonly reported sources of stress in adults. For you, is the preparation of a trip (finding a destination, a hotel, a plane ticket...) stressful?